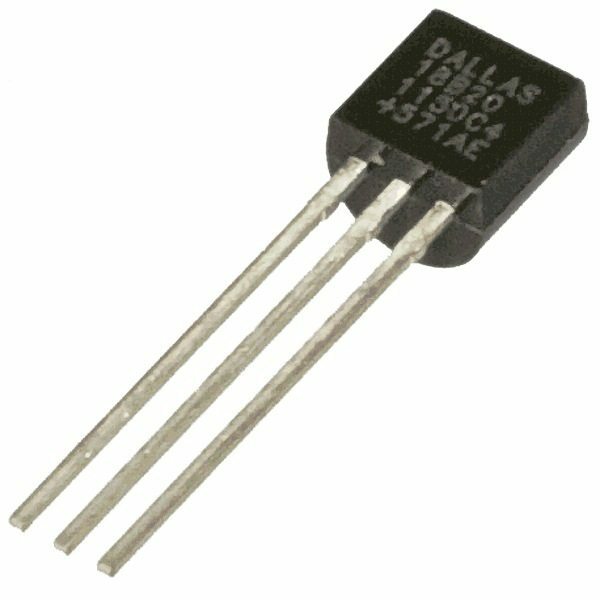 DS18B20 is a commonly used temperature sensor providing 9 bit to 12 bit digital Celsius temperature measurements. The sensor communicates over one wire bus. Each sensor has a 64 bit serial code enabling multiple sensors to be connected to the same one wire bus. 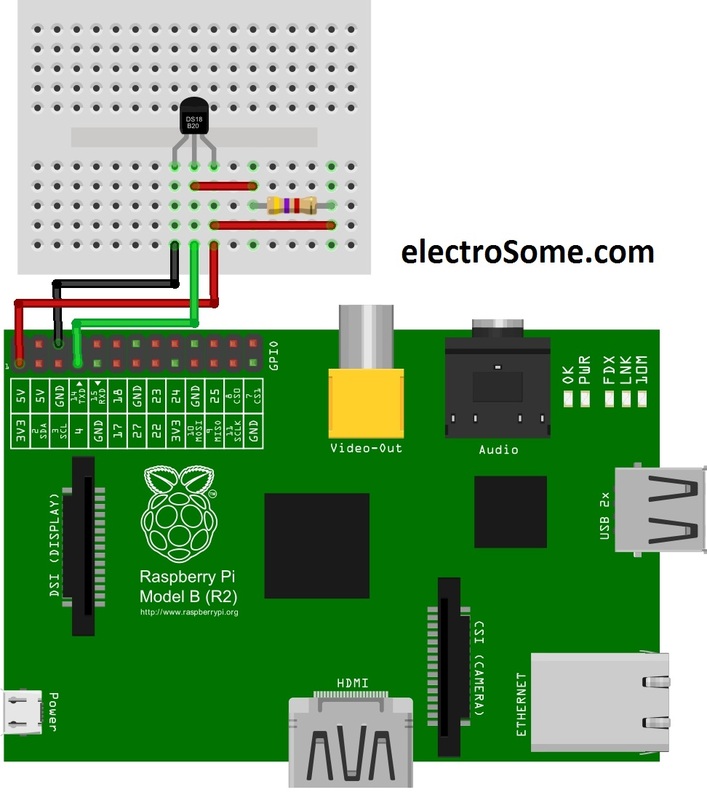 The Raspberry Pi has drivers for one wired devices to be connected to GPIO pin-4 by default. 1-wire is a device communication data bus system developed by Dallas semiconductor providing low speed data, signalling and power over a single signal wire. One wire is similar to I2C with longer range and low data rates. It can be used to communicate with inexpensive devices like thermometers, humidity sensors and other one wire sensors over a long range. 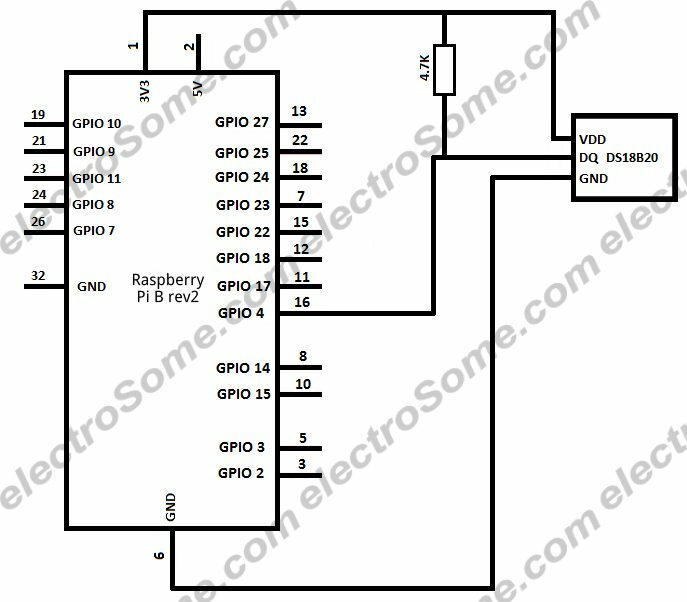 The main advantage is since each device has a unique address, any number of devices can be connected on a single wire limited by the drive capacity of Raspberry Pi’s GPIO and the total capacitance seen on the line. The one wire bus requires a weak pull up resistor as all devices linked to this bus via a tri-state or open drain output. Here a 4.7KΩ resistor is used as pull up. Users having Rasbian with updated Linux kernel 3.18 need to edit boot config file to work with one wire sensors. The displayed data consist of two lines – first line representing the value read and CRC check and second line temperature in Celsius x 1000. This can also be done in Python with python handling CRC errors and the temperature displayed both in Celsius and Fahrenheit. 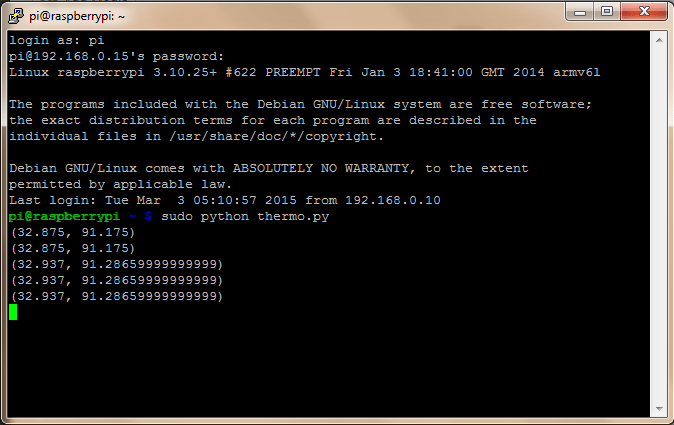 The python output consists of temperature in both Celsius and Fahrenheit scale displayed at an interval of one second. Any doubts or suggestions? Comment below.